Why is it that when you’re nearing the homestretch of your pregnancy that people suddenly want to tell you all their horror stories involving their labor and delivery? I can remember wondering if these people wanted me to have a crappy experience. Seriously, why was it necessary to tell me all the negative things that happened to them and their baby during their delivery? Were they deliberately trying to psych me out? Just show off in some twisted way? Somehow make themselves look tough or worthy of sympathy? I’ll be honest, I still don’t get it. 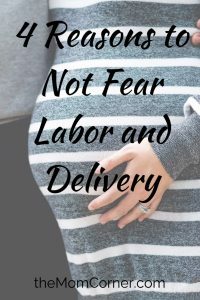 It seems everyone has a horror story to tell when it comes to their labor and delivery experience. Really, I think it comes down to this: those that had a poor labor and delivery experience are the ones who like to talk about it. And those who had a fine experience don’t feel the need to go into details. 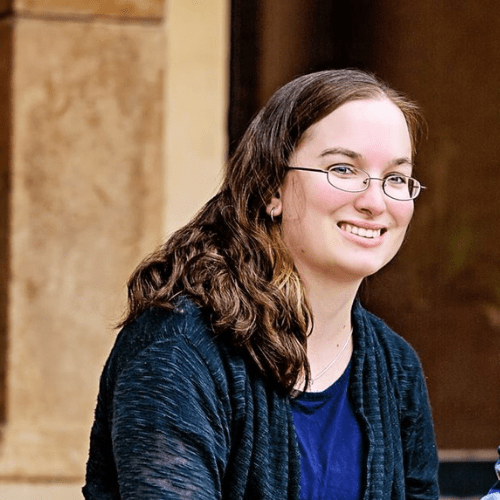 It’s a rather personal experience, after all, and if there wasn’t anything terrible that makes you feel like you need to tell people, why would you want to go into those intimate details? So before you let all those Negative Nancy’s get to you and freak the living daylights out of you, here are four reasons you should ignore any and all horror stories that are thrown your way. Just because one person—or a lot of people—had a bad delivery experience doesn’t guarantee that you will. Heck, it doesn’t even increase the chances. Just because Freda over there labored for days on end before succumbing to medical procedures she did not want doesn’t mean that will happen to you. It literally has nothing to do with you. Everyone’s body is different. Everyone handles things differently. Everyone’s experience is different. So don’t start hyperventilating every time someone tries to scare you with their delivery story. I’m pretty well convinced that it’s all about your outlook. If you insist on viewing your labor and delivery negatively, than it will end up being a negative experience. If you focus on viewing everything as positively as you can, than it will be much more pleasant on you—and everyone else. For example, I ended up having an epidural, even though I had specifically planned on not having any medication. (Who really wants an extra large needle stuck in their back, right?) I had specific reasons for not wanting one, and I had specific reasons for why I changed my mind. Now, I could look back and think of it as a terrible experience because I didn’t get what I had planned or wanted. But really, it all ended up being a calculated decision and ended up being for the best. Having the epidural helped me deal with other situations that weren’t in my planned stack of cards. These changes to my optimal plan didn’t ruin my outlook because I spent a lot of time during my pregnancy mentally training myself to not get upset if the plan needed to be changed. I thoroughly researched as many possible outcomes as I could beforehand. That way, when the time came, I could easily make decisions that didn’t line up with my original plan because I already knew all the information necessary to make those calls while in labor. Many horror stories involve women who had “excruciating” pain, and it is easily understandable why that would freak someone out. Don’t let it psych you. Everyone has a different level of tolerance for pain. You can’t compare your pain experience to someone else’s. Some people say it was the worst pain they’ve ever had. Personally, I’ve definitely had worse pain from a period than I did from labor and delivery. For me, it was less about the pain and more about the pressure and inability to get in a full breath. But I also know from other experiences that I have a high pain tolerance. So what might bother someone else may not bother me, while something that didn’t bother me might bother you. It’s really just an individual thing that you probably won’t know till you get there. If you listen to the people trying to freak you out, you will psych yourself out and it will set you up for a bad delivery experience. Now, just because you’re mentally set up for a bad experience doesn’t mean you’ll have one, but it definitely increases the odds. A decent bit of it comes down to mind over matter. And if you let your mind run wild it will become way more difficult to get under control and push through your delivery. So if you find yourself bombarded with labor and delivery horror stories from other moms, take a step back and recollect. Their story is not your story. It doesn’t have to be the same way. Heck, it probably won’t be. You’ll have your own unique story. Whether it ends up being positive or not is largely up to you and how you choose to handle what is thrown your way. 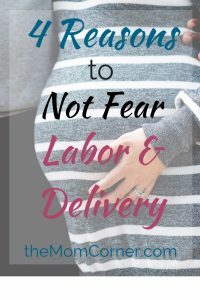 Where you or are you nervous about your labor and delivery? What’s your strategy for overcoming it? Let me know in the comments below, or send me a message on Instagram–I’d love to hear from you! Thanks so much for sharing your thoughts, Lindsay! I agree that many L & D, and newborn articles out there tend to have a negative tone to them. That was definitely something I noticed while I was pregnant with my son and, like you, reading everything I could find on pregnancy and babies. I’m glad I was able to encourage you with this post! And congrats on your pregnancy, and near delivery! 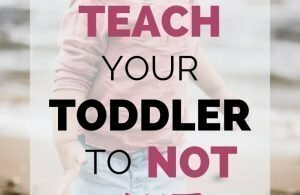 My name is Abby, and I am a SAHM of one little boy. My goal is to help you live your mom life to the fullest. Feel free to drop me a line-I can’t wait to get to know you! Get FREE access to my Mom Resource Library, including printables to help you navigate your journey through motherhood.